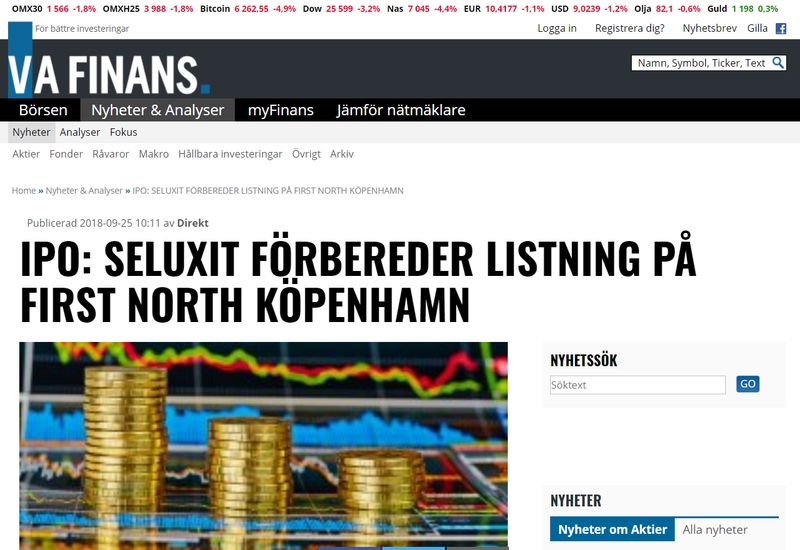 Seluxit’s coming IPO has drawn interest from the press, both in Denmark and abroad. 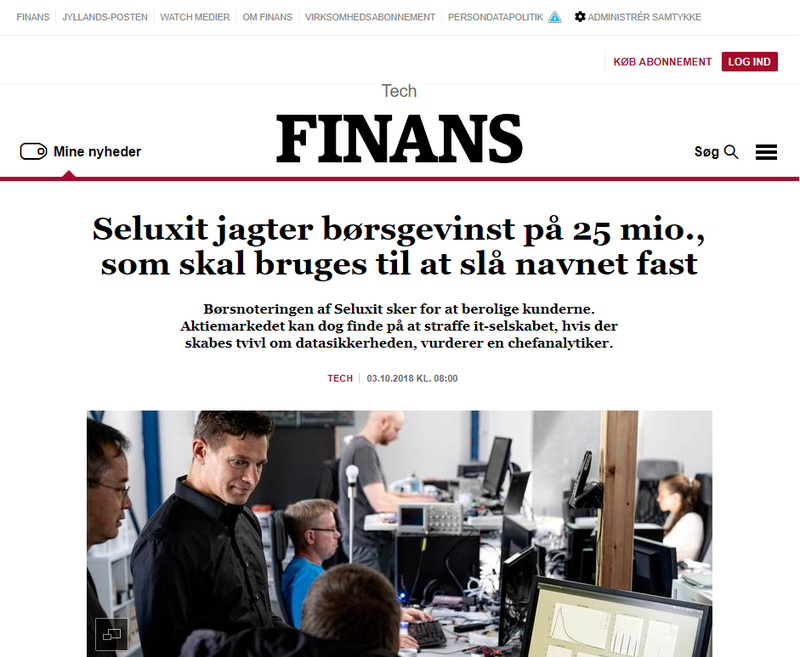 An article in Finans.dk (in Danish) gives a resume of Seluxit’s aims with floating the company, highlighting the effect the IPO will have on solidifying the Seluxit name. The IPO will serve as an further assurance to existing and coming customers that the already 12-year old company is not just a flash in the pan. Michael Friis Jørgensen, Chief Analyst for the Danish insurance and finance company, Alm. Brand, can concur with the reasoning while cautioning that doubt about the security of the data Seluxit handles could lead to punishment by the market, as was the case for the American iRobot. The Seluxit ITF story was also picked up, notably, by the Swedish press, as this article in vafinans.se.